You can read our report, Sam’s Story, here. We also created resources for schools to use in anti-bullying week. Isolation is another cause of bullying: this is portrayed as children with no friends and sometimes new to the school. A trusted person to talk to seems to be a key pathway to deal with bullying and often, that trusted person is a teacher. Consistency; a number of professionals expressed a wish for more consistency across schools within local authority areas and across Wales as a whole. The material collected suggests a very diverse and uneven picture. Monitoring: professionals noted there was no standard or consistent national system for monitoring instances of bullying. Welsh Government should place a statutory duty on schools to record all incidences and types of reported bullying. This will require a clear definition of bullying. Schools should establish a preventative approach and enable children to recognise bullying behaviour at the earliest point – and know what to do about it. In Sally’s first year as Commissioner, she wanted to find out what mattered most to children and young people across Wales. To do this, she launched a Wales-wide consultation called What Next, and asked children and young people to have their say on her priorities. Overwhelmingly, children and young people chose tackling bullying as their top priority. 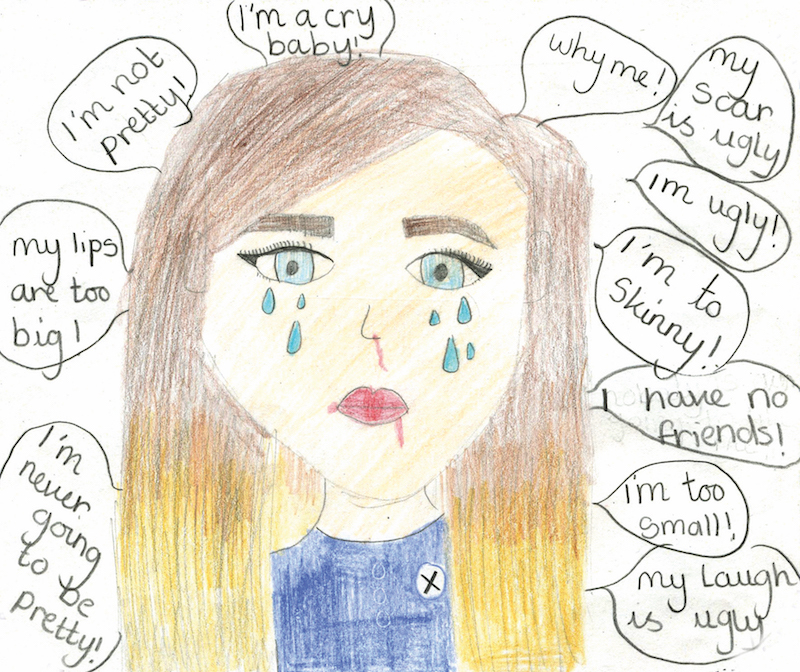 We asked the children and young people involved in our Ambassador schemes to express their feelings and experiences of bullying through an imaginary character called ‘Sam’. We asked children to tell Sam’s Story, specifying that Sam was their age, from their community, and was experiencing bullying. Over 2000 children and young people took part through creative work and workshops. If you have any questions about this report, or if you’d like it in a different format, please get in touch.